12/05/2017 - GIVE THE GIFT of LOCAL COFFEE this CHRISTMAS! 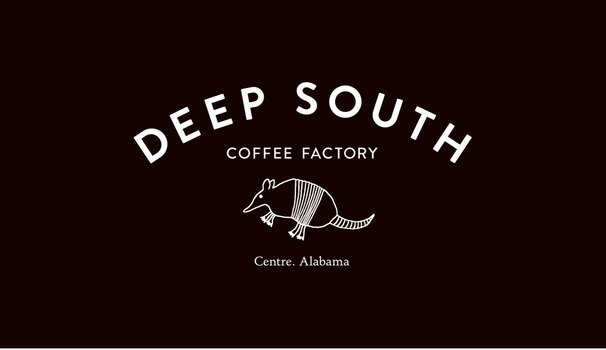 10/13/2017 - DEEP SOUTH COFFEE COMES TO GEORGIA! 10/06/2017 - BRUCE'S FOODLAND PLUS in FT. PAYNE and FOODVALU (formerly known as Foodland) in GERALDINE NOW CARRYING DSCF COFFEE! 10/02/2017 - HERE'S A SNEAK PEEK AT OUR TWO NEW PRODUCTS! COME SEE US AT THE CENTRE FALL FESTIVAL SATURDAY! 09/16/2017 - HOW DO OUR PRICES STACK UP? 09/09/2017 - WHY IS COFFEE SOLD IN 12 OZ. BAGS? 08/30/2017 - READY FOR OUR DEBUT! 08/21/2017 - MEET TJ, OUR COFFEE ROASTER! 07/10/2017 - MORE COFFEE = LONGER LIFE?